Has anybody here ever needed a good, fast transcription service? People often think of transcription as being something that doctors use or perhaps a few other professions. However, more people than you think have need of a transcription service at one time or another. Whether you have interviews that need transcribed, maybe a radio talk show that you'd like to offer in print format, or just to document conversations or phone calls. Maybe you'd like to keep records of all your business meetings, get transcription files from conferences, keep a hard copy of college lectures, or keep track of data acquired from phone surveys. Whatever your need, I'd like to introduce you to a fast and affordable transcription service company called TranscribeMe. 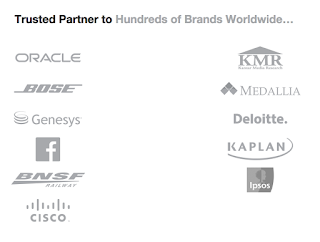 TranscribeMe has a variety of services available for all transcription needs. Whether it's business, research, medical, education, or from any other possible type of audio, you can get accurate transcription services in a short amount of time. 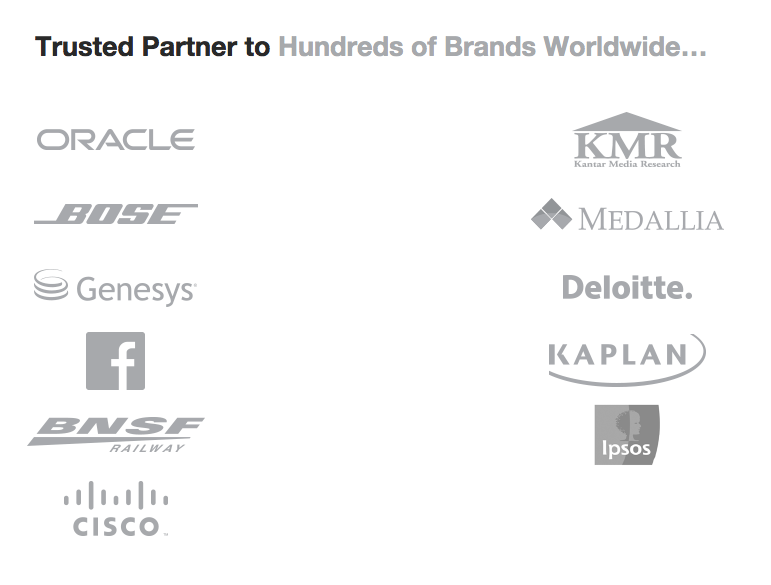 If you've been looking for a transcription service but are a little overwhelmed by the amount of companies out there, just take a look at some of TranscribeMe's partners: Oracle, Bose, Kaplan, Cisco, and BNSF Railway are just a few! TranscribeMe promises to deliver you accurate transcriptions on time and at reasonable prices. You can choose from full verbatim or clean verbatim, depending on whether or not you need (or want) the complete as-spoken audio transcribed, or if you'd like stutters, ums and ahs, et cetera removed form the file. These are both taken through a two-step process, first being transcribed and then being checked by the quality assurance team. These files also include timestamps and speaker IDs so you can keep track of every detail of the file. TranscribeMe is also offering a new service called First Draft, which is a lower-cost service ($0.79 cents per audio minute) for people who may not need everything 100% perfect. This service promises up to 95% accuracy, and is great for people on a low budget. First draft avoids the two-step process, and is simply transcribed then returned to the client (without timestamps and speaker IDs). Because of skipping the quality assurance check, turnaround time is much faster - a one-hour file can be completed and back to you in one business day! This service also allows you to go in and make your own edits if needed, simply by exporting it in Word. 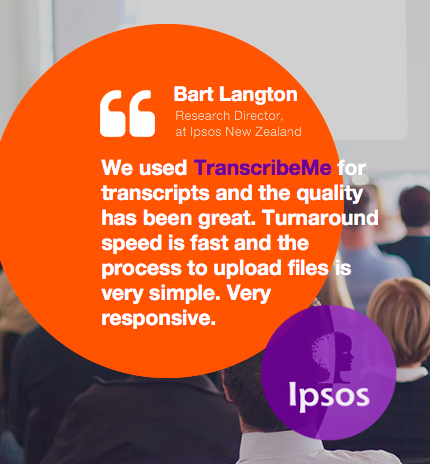 Whatever service you choose from TranscribeMe, you can rest assured that you will receive fast service and some of the most accurate transcription possible. Check out their website today for more information, to get a custom quote on transcription services, or chat online with a live agent if you have any questions!